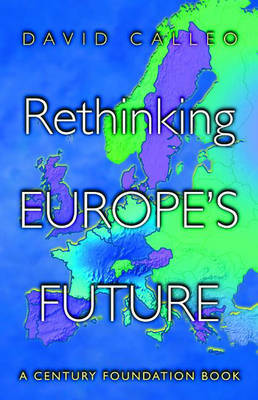 Rethinking Europe's Future is a major reevaluation of Europe's prospects as it enters the twenty-first century. 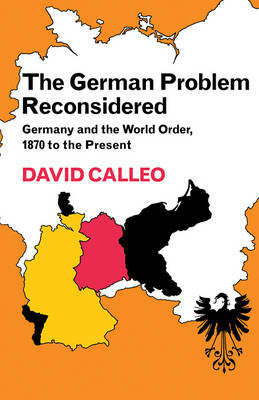 David Calleo has written a book worthy of the complexity and grandeur of the challenges Europe now faces. Summoning the insights of history, political economy, and philosophy, he explains why Europe was for a long time the world's greatest problem and how the Cold War's bipolar partition brought stability of a sort. Without the Cold War, Europe risks revisiting its more traditional history. With so many contingent factors--in particular Russia and Europe's Muslim neighbors--no one, Calleo believes, can pretend to predict the future with assurance. 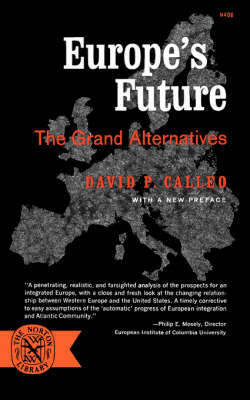 Calleo's book ponders how to think about this future. The book begins by considering the rival "lessons" and trends that emerge from Europe's deeper past. It goes on to discuss the theories for managing the traditional state system, the transition from autocratic states to communitarian nation states, the enduring strength of nation states, and their uneasy relationship with capitalism. Calleo next focuses on the Cold War's dynamic legacies for Europe--an Atlantic Alliance, a European Union, and a global economy.These three systems now compete to define the future. The book's third and major section examines how Europe has tried to meet the present challenges of Russian weakness and German reunification. Succeeding chapters focus on Maastricht and the Euro, on the impact of globalization on Europeanization, and on the EU's unfinished business--expanding into "Pan Europe," adapting a hybrid constitution, and creating a new security system. Calleo presents three models of a new Europe--each proposing a different relationship with the U.S. and Russia. A final chapter probes how a strong European Union might affect the world and the prospects for American hegemony. This is a beautifully written book that offers rich insight into a critical moment in our history, whose outcome will shape the world long after our time. 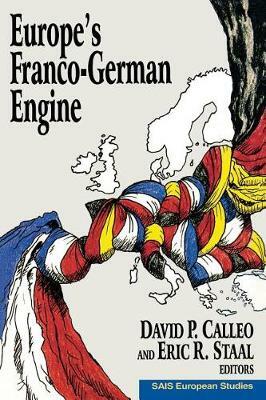 Buy Rethinking Europe's Future by David P. Calleo from Australia's Online Independent Bookstore, Boomerang Books. 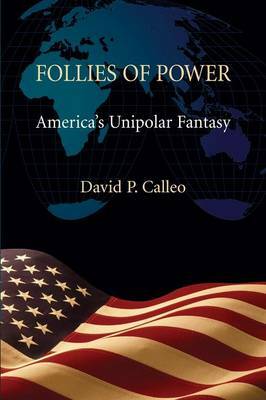 David P. Calleo is Dean Acheson Professor and Director of European Studies at the Paul Nitze School of Advanced International Studies at The Johns Hopkins University. He is the author of many books and articles, including "The Bankrupting of America: How the Federal Deficit Is Impoverishing the Nation, Beyond American Hegemony: The Future of the Western Alliance, and The German Problem Reconsidered: Germany in the World System, 1870 to the Present".